The enemy knows well the weaknesses of mankind and best ways to get Christians to fall into sin. Once one has sinned, the devil tells many if not everyone, that they cannot be forgiven and that God no longer loves them. Sadly, many fall for his age-old tricks and lies. But the real truth is that as long as one regrets his sin and is looking for forgiveness, he can find it! God never quits loving us, not even for a second! His love is unconditional, meaning that it is not based upon our performance, but because of who He is and who we all are to Him! If you like, you may read more on the subject of forgiveness being available to those who repent at - Return to the Lord!. Does this mean that we are free to sin as much as we like, because God is love and we are forgiven anyway? No way! If we know something is a sin and still do it, then it means that we love the sin more than we love Jesus. This is a harsh reality and means that we value the sin more than all the Lord's suffering that was taken in our behalf. In John 14:21 and 23, Jesus makes it crystal clear to us, that we cannot say we love Him, if we do not live right, keeping His commands. The life lived right, in obedience to God's Word is followed by amazing promises! 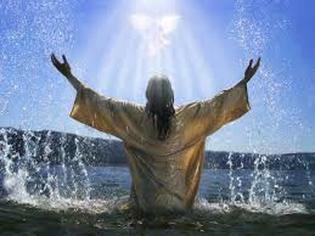 God, the Father and His Son, Jesus Christ come and dwell in our hearts, through the Holy Spirit! This is an amazing love! Nothing is greater than having God in and with us all the time! Jesus is very clear when He says that “‘No one can come to me unless the Father who sent me draws them, and I will raise them up at the last day” (John 6:44). After we are born-again, we are no longer from Adam's seed, but we are the children of God. Our first birth was in sin, because Adam, the first man, did sin and we all inherited his sinful nature. The new birth, comes from the second Adam, who is Jesus, and who is totally holy and righteous. When truly born-again, we inherit His nature (“And so it is written, “The first man Adam became a living being.” The last Adam became a life-giving spirit.” - 1 Corinthians 15:45 ). It is up to us to realize and to know that once we are born-again, we are no longer slaves to sin. We are born to live a new, pure life, finally being able to become what God intended for us to be in the first place, when He created mankind in His own image. We turned our hearts towards Him, because He first loved us and we do not want to continue living in sin, as we become the righteousness of God in Christ (“For He made Him who knew no sin to be sin for us, that we might become the righteousness of God in Him.” - 2 Corinthians 5:21 ). We are not our own anymore, Jesus paid the highest price to redeem us ("Or do you not know that your body is the temple of the Holy Spirit who is in you, whom you have from God, and you are not your own? For you were bought at a price; therefore glorify God in your body and in your spirit, which are God’s.” - 1 Corinthians 6:19-20). Inside of us, we have the same Holy Spirit that raised Jesus from the dead (“But if the Spirit of Him who raised Jesus from the dead dwells in you, He who raised Christ from the dead will also give life to your mortal bodies through His Spirit who dwells in you.” - Romans 8:11). These bible verses show us, that it is up to us to know what we have in Christ and to fight against sin, choosing to do what is right and pleasing to God.